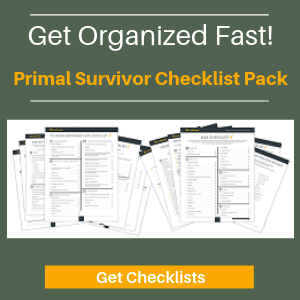 You’ll become more self-sufficient, and this will carry over to other areas of your life. Your kids will become more connected to their food. And, if your hens are free-range, then it will be like an Easter egg hunt every day! 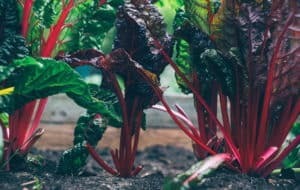 You can use chicken manure as fertilizer, thus motivating you to finally get that garden going. 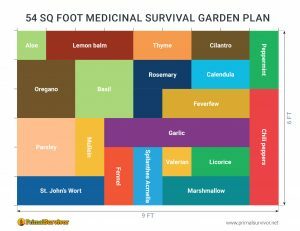 Want to Start Your Own Survival Garden? I can’t stress enough the value of growing your own food. From a practical point of view you will save thousands of dollars on your shopping bill. 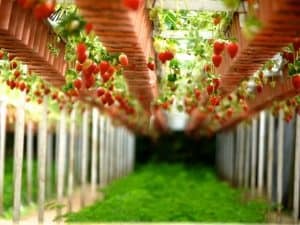 But perhaps more importantly, growing your own food has been scientifically proven to reduce stress and improve mental health! It isn’t as hard as you’d think to get started with backyard chickens. If you are looking for resources, check out this List of the Best Backyard Chicken blogs. If you want to get to know more about chickens, this PBS documentary The Natural History of Chickens is great. One of the first things you’ll need is a chicken coop. Not only chicken coop plans but everything else you can think of too! Including hutches, planters, rabbit houses and many, many more. You’ll never be stuck for a DIY plan again. 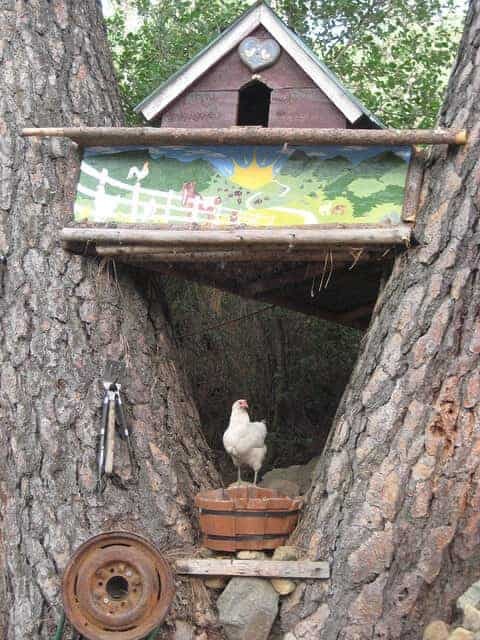 Here are some more amazing chicken coop ideas to get you inspired. Here’s a really simple chicken coop that you could make yourself. A small coop like this is good for people just starting out or who have limited space. Remember, the space requirements for chickens are about 2-3 square feet per chicken inside the cage, and another 8-10 square feet per chicken in an outside run. 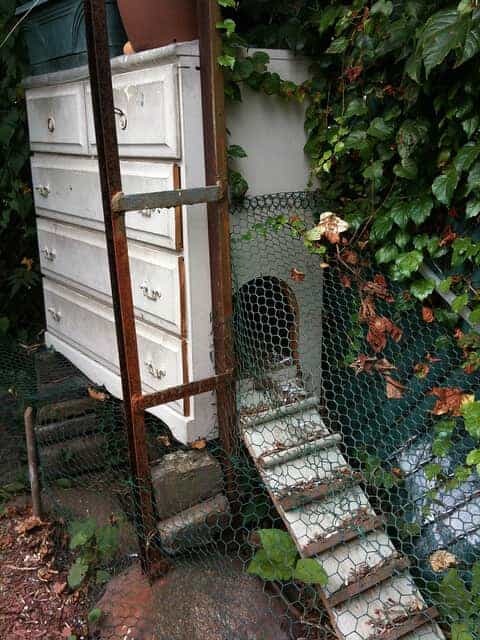 After losing hens to both raccoons and wild ferrets, Lyanda Lynn Haupt of The Tangled Nest decided to enclose her urban chicken coop. The 6×3 raised coop can house 4 hens. 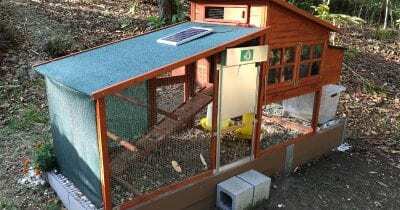 There is an enclosed “Chicken Guantanamo” below the coop in case the hens need to be outside but still protected – such as for if the family needs to leave for an extended period. You can get the coop plan here. Wondering what to do with all that space below your porch? 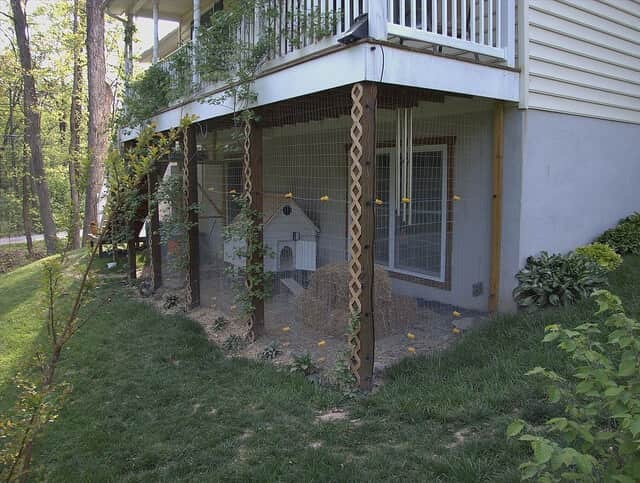 This family was able to turn it into an easy DIY chicken coop simply by running some fencing around the space. 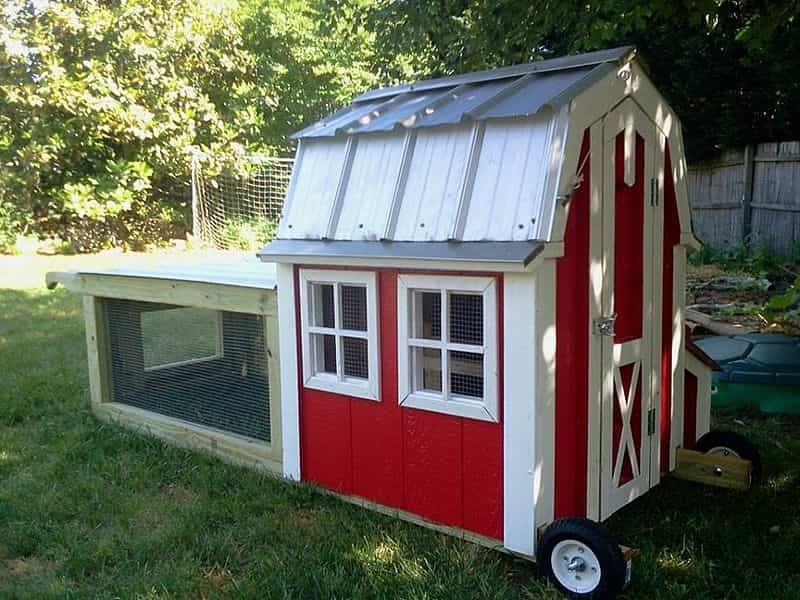 Here’s another really simple backyard chicken coop. The hay bales are for soundproofing. 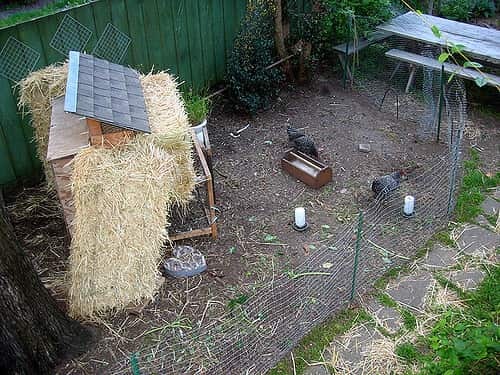 You can even make an entire chicken coop almost entirely out of straw bales, like this one. 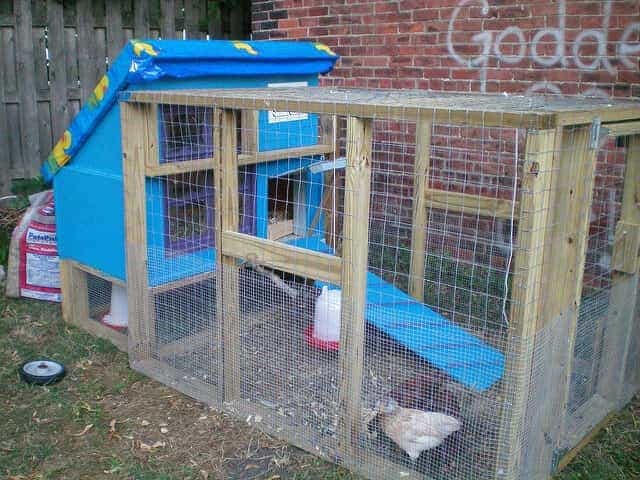 Recycle what you already have to make a cute chicken coop. This backyard coop was made out of an old dresser. Holes were cut into the drawers to make nesting boxes. 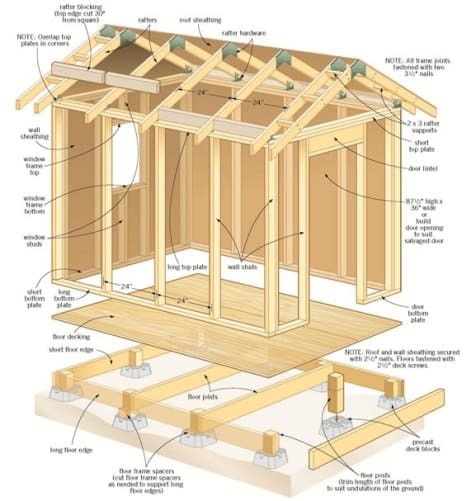 You can see plans of how to make a dresser chicken coop here. 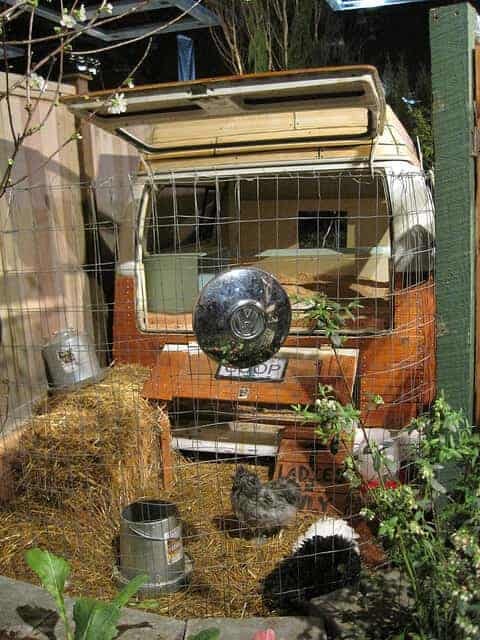 There are plenty of ways you can use junkyard items to make a chicken coop. 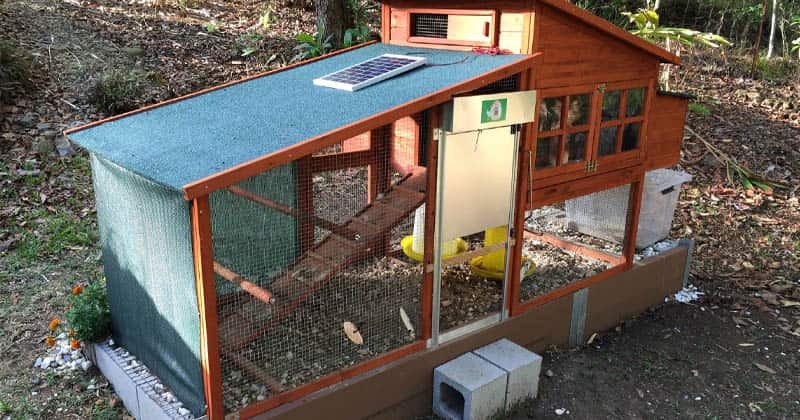 While this DIY coop might not be the most practical for cleaning and feeding, it still gets the job done – proving you don’t need fancy materials to raise happy hens. This coop in a small backyard makes great use of the existing yard features. Instead of letting the space between the trees go to waste, the family built their chicken coop up there. 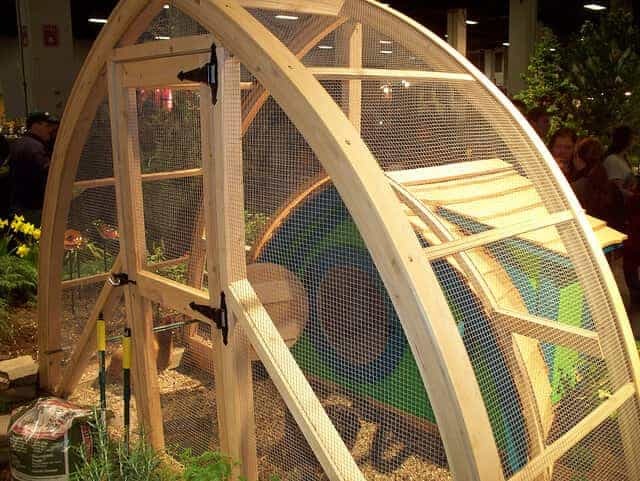 For the more crafty types who don’t want an ugly chicken coop in their backyard, this design is inspiring. Aside from looking cute, it is also very practical because the exterior side door into the coop makes cleaning and egg gathering easier. See the solar panels on top of the chicken coop? The 12W panels control an automatic door which is powered by a 2600 Mah battery. The door is programmed so it opens at 6:30 am and closes after dark when the chickens have already come back to roost. 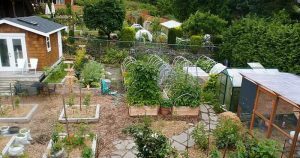 This makes caring for your backyard chickens even easier in large backyards where the coop might be far from the house. See the video of the automated door. New to solar? 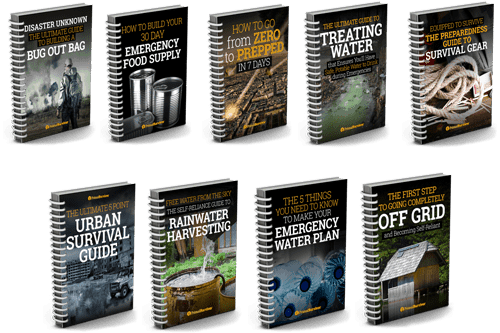 Read The Survivalist’s Guide to Solar Panels. I’m not sure if this is an old shed or a kids’ playhouse. Either way, the recycled wood building makes a great chicken coop. It only takes a bit of modifying to put in shelves, nesting boxes, and a run. This chicken coop is particularly cool because it is one wheels so it can be moved with tractor to different spots if necessary. 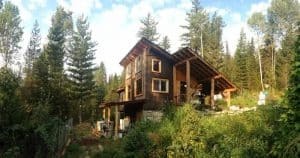 You aren’t crafty or don’t have access to tools to make your own coop? Don’t let that stop you from raising backyard chickens. 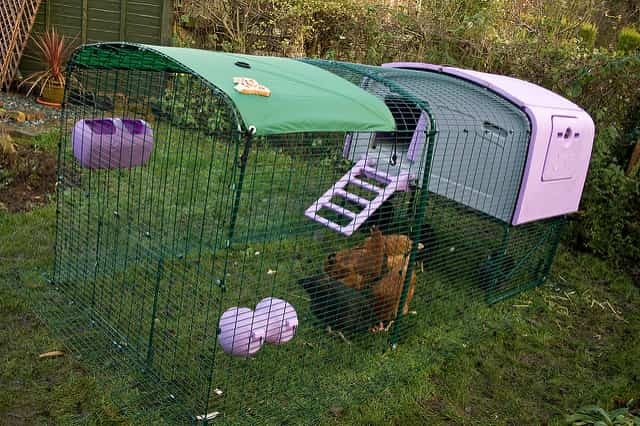 There are a lot of companies which now make ready-made chicken coops for small spaces, such as this coop by the company Omlet. 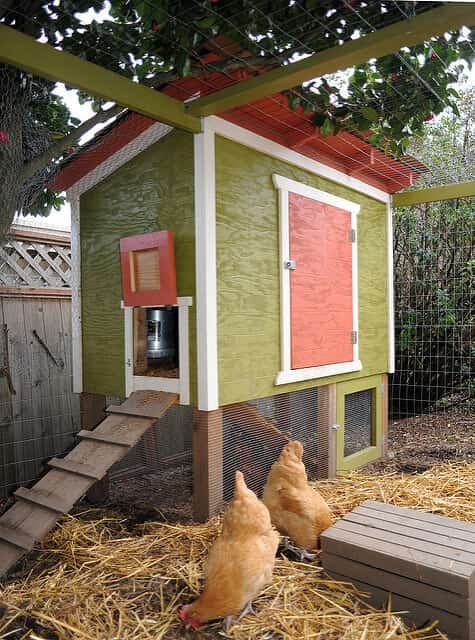 They even have cool supplies like egg ramps, walk-in chicken runs, and weather-proofing. I personally still think it is better to make these things yourself. However, there is no shame in going the easier route if it gets you closer to your goal. What would be shameful is not doing anything at all. Do you have backyard chickens? Share photos of your coops in our Facebook Group.